In case you’ve ever tried to remove old tiles or poorly laid tiles in your home, then you probably know the end results that you go. From the experiences outlines out by many people who’ve tried to remove their tiles, they’ve revealed that this exercise can take a long period of time and is very laborious. 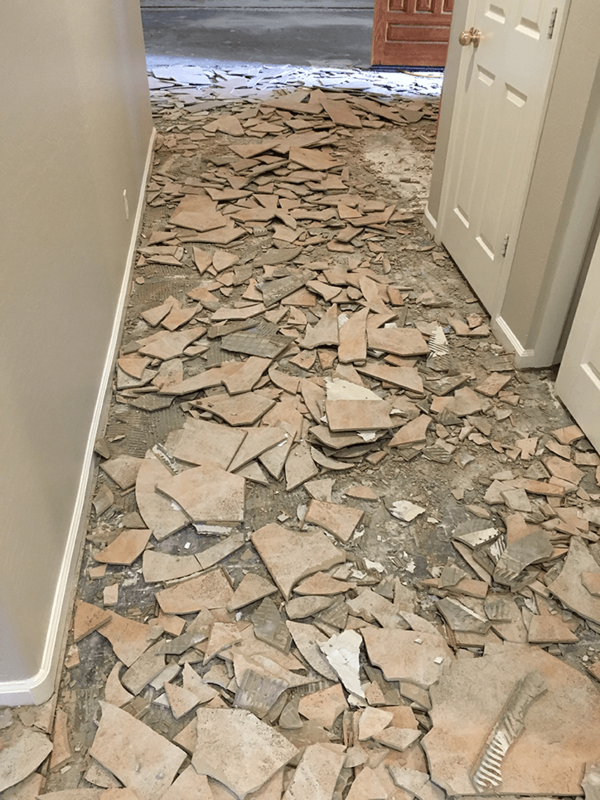 However, if you contact a professional company they can be able to offer your dustless tile removal in Queen Creek, AZ which can take the smallest time possible for you to complete the process. The dust experts are able to remove about 600 square feet of tiles in single as compared to the traditional method which can take several days. If you use chipping hammers they’ll damage your slabs but this process will not damage the concrete slab of the subfloor. Since this process leaves the concrete slab flatter, the dust experts are able to ensure faster project completion and also reduce labor costs. Since the entire process is done dust free, you’ll not be required to hire house cleaning experts so that they can clean your home. Since the process catches all the silica-based dust, the tile remover expert is able to protect his/her health. Many people to remove tiles manually will be exposed to dust which can cause some conditions such as silicosis. This refers to the scarring and inflammation of the lungs due to the inhalation of crystalline silica. The dustless tile removal system uses industrial grade vacuum cleaners which have particulate arrestance filter to effectively remove any dust before it scatters. The HEPA filters are able to trap up to 99.97% of dust particles which are produced. The dustless tile removal in Queen Creek, AZ uses high-speed electric chiseling which strips old tiles efficiently without damaged your slab.